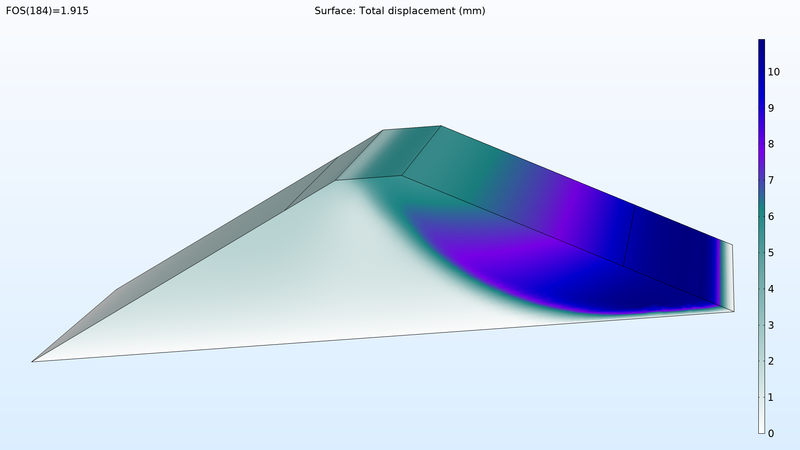 For users of the Geomechanics Module, COMSOL Multiphysics® version 5.4 brings functionality for modeling damage in brittle materials, which you can read about in more detail below. For brittle materials, damage caused by cracking is an important failure mechanism. The new Damage subnode under the Linear Elastic Material node makes it possible to incorporate continuum-based damage models, where the material softens as an effect of the severity of the loading. 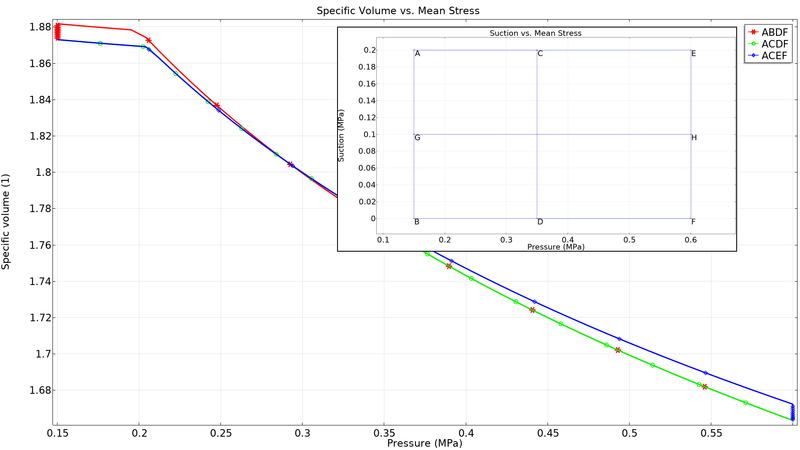 There are several effective scalar damage models based on equivalent strain measures, including user-defined expressions, as well as the Mazars model for concrete. You can select different rules for the damage evolution. Softening material models are numerically challenging due to strong localization of the damage. For this reason, regularization methods that smooth the damage over a finite region are often used. Two such methods are available: crack band and implicit gradient. Damage predicted by the Mazars model in a reinforced concrete beam subjected to bending. 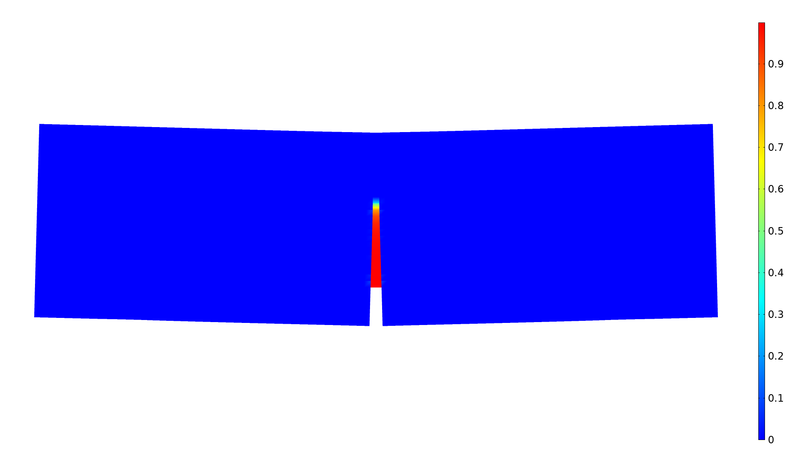 Damage predicted by the Mazars model in a reinforced concrete beam subjected to bending. 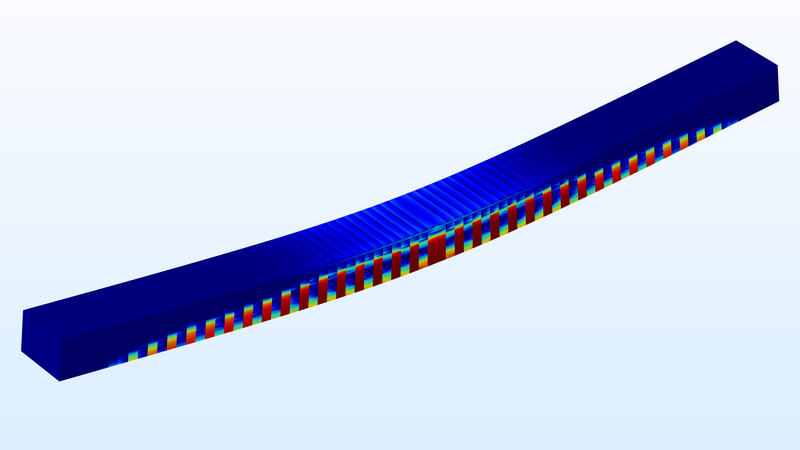 COMSOL Multiphysics® version 5.4 brings new tutorial models. Displacement just prior to collapse of dam embankment. 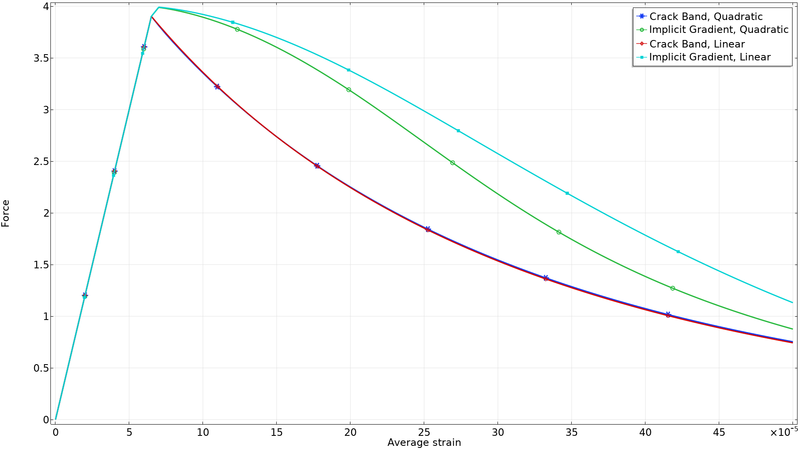 Load path dependence during a wetting experiment of the soil.